With the handy size, durable format and enticing patterns readers have come to expect, these books are perfect to tuck into a bag or backpack and take On the Go! 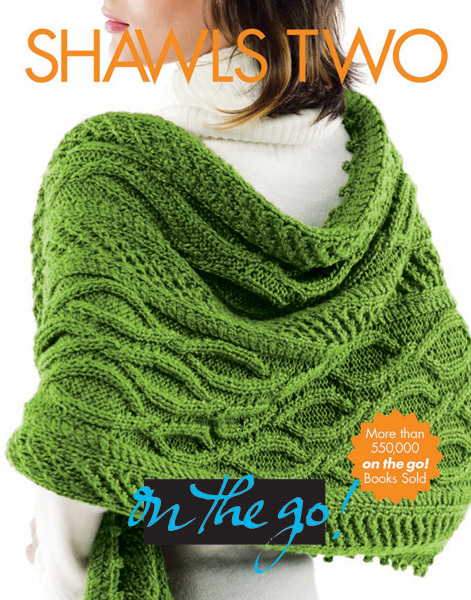 Shawls Two is chock-full of fabulous new projects to keep your needles busy and your shoulders warm all year long. The diverse patterns in this collection include a charming ruffled capelet, a sumptuous fringed shawl, an elegant lacy stole, a cozy cabled shawl, a multicolored mohair wrap and many more.